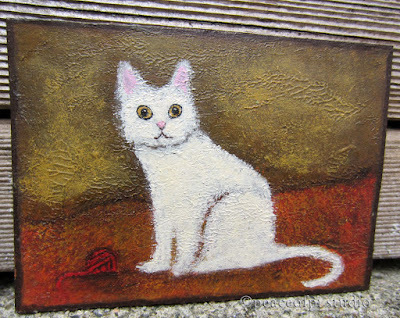 Caught with a ball of yarn, this white cat is trying to look innocent in this mini painting. With layers of touchable texture, the piece is created in acrylic on heavy artist's paper. The painting is another tiny one at 2.5 X 3.5 inches, also known as ACEO (Art Cards, Editions and Originals) or ATC (Artist's Trading Cards), a popular size with miniature collectors. 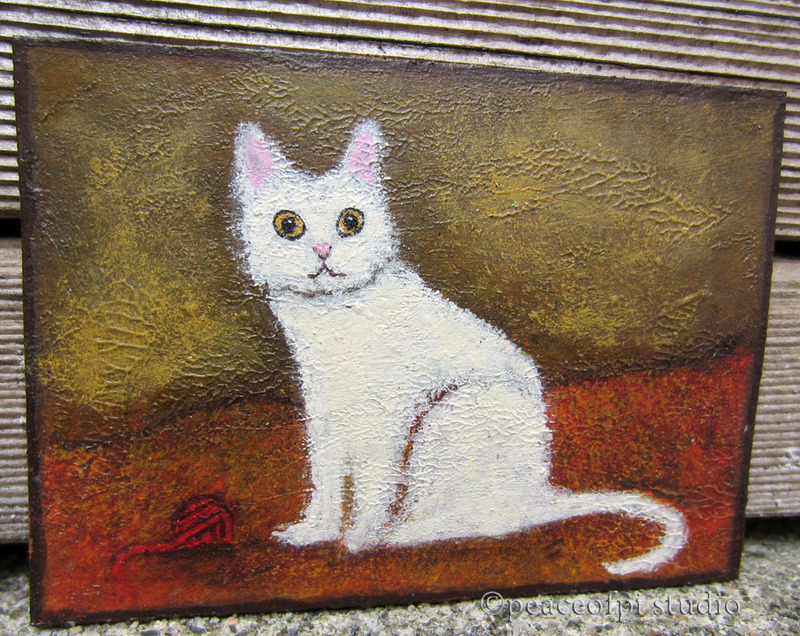 More cats, felines both tame and wild are on the studio painting table, waiting to debut. Meow.